That looks like straw to me - probably rice straw? Koen…looks like every developing country I’ve ever been in. JO…amen to that. Safety consciousness is making us a culture of boring mediocrity. Jeff, Someone down in Dadeville AL was leaving for the mission field in Nicaragua and getting rid of his project piles. He saw Jakob’s article int he paper and decided to donate his old John Deere 318 to ADAPTech for a project tractor. Went and got it the other day. I thought of you and your fleet. Broke the roll pin that holds the wheel on. I need to figure out the spacing I think somesomething is worn out because I just fixed this same problem in the spring before I started haying. I am guessing there is vertical play hammering the pin. I like the post, but not the broken equipment problem. I have been fighting automobile breakdowns here. We have four drive-able, licensed, insured cars, but they are all clapped-out. 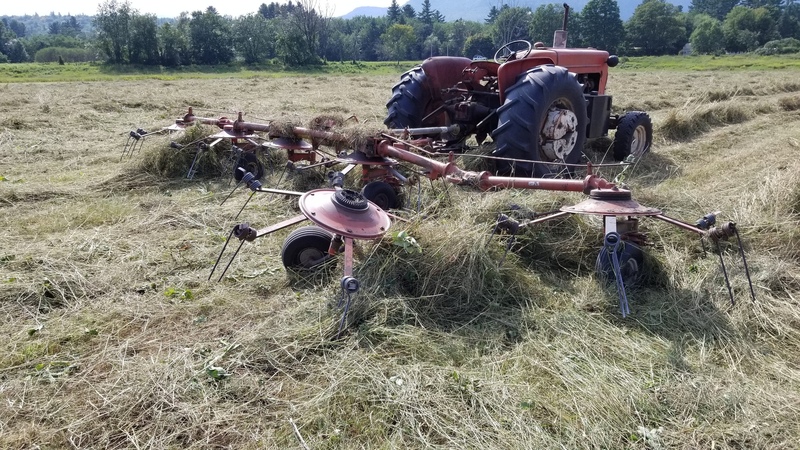 Hope your hay-rake fixes without too much trouble, with non-expensive parts. Thanks Mike I think it should be an easy fix. I looked it over tonight with a friend and we agreed i can use it minus a wheel to get the last bit of that field and to get it out of the field as it is right in the middle with maybe 100 feet left to finish. It has done this before it is easy enough to put back together. Hopefully a few shims a new bearing and it will be good to go. That poor old machine needs alot of other work she has alot of broken arms I really need to get bar stock and bend up a ton of them to finish an over haul it is one of the things on my project list. That list is way too long. Hopefully you can sort out your car troubles. This is how old equipment is you read the book then you guess what else might be broken or was fixed wrong in the past. There are a couple of photos of my Allis Chalmers d15 and grapple at work today. 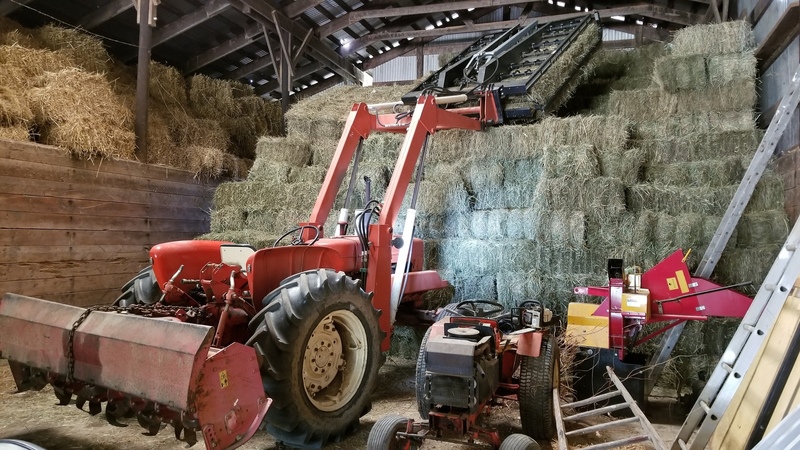 It sure does make handling hay much easier. I figured with the photos or overloaded pickups I would show how those bales stack sideways. 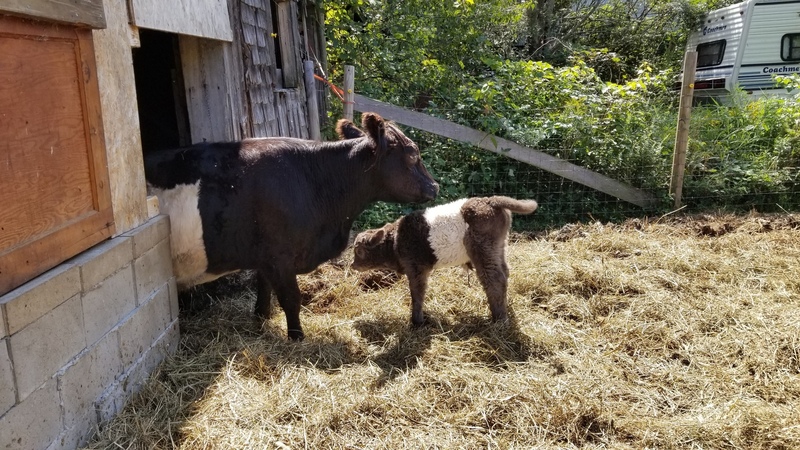 I got my 6th calf for the year. A nice healthy baby boy. 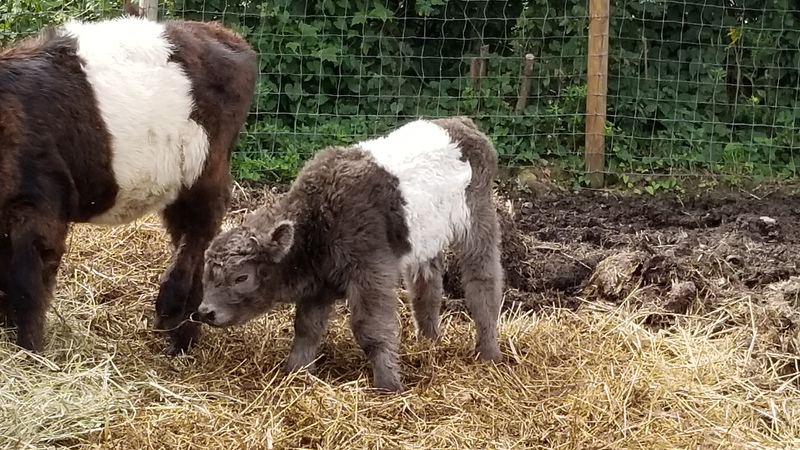 I will make him into a steer as I already have a nice bull calf started for my next breeding bull. They sure are curly haired cute at that stage. The Galloway cows have thick wooly hair similar to sheep not as thick as sheep but the general idea. The newborn calves have their winter hair for the entire first full year. I assume it is because nature doesn’t know when the calf will be born. The adults shed in the spring and look like normal cows. They depend on hair not body fat to stay warm in the winter. Sofar I have to say I really like the breed. For any of you who served in Vietnam or even served, you never got the welcome you deserved when you returned, but this week, some 50 years after the war, the people of Northeast Wisconsin sure came out to show their respects. Well here on the farm I spent my day laboring. Working alone I got 405 bales in the barn and spend about half the day clearing out a space to put them. There are about 300 more for tomorrow. I am hoping that I don’t get a thunderstorm tonight. I can see lightning so it isn’t looking good but if they get wet I can probably feed most of them right out before they go bad. This should make the last of the hay I need for my cows. Then there are about 1000 bales of second crop i want to cut. About 3 weeks worth of hay got wet last night. Only the top 2 inches of the bales standing on edge. I am sure it will keep long enough to feed right out so I will be ok. All in all it has been a good hay season this is the only hay that got wet. 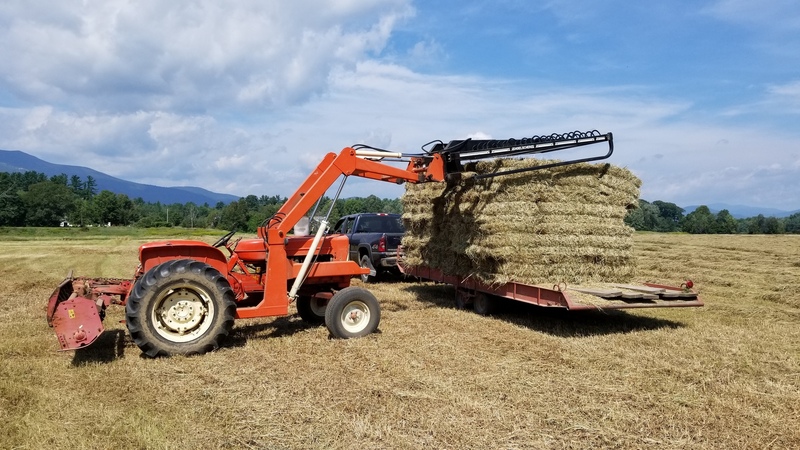 I use to salt wet or green hay to keep it from mold, feed it first in the fall. Caution with this if you put salted hay in the barn, it will rust any metal. I never heard of that one before but the cows do need salt. I will probably just feed it right out and it wont get that bad before they eat it. These cows are funny if you have good hay and 1 moldy bale they will fight over the moldy one before eating the good stuff… I really don’t understand Galloway cows but they are fat and happy so I have no complaints. I don’t think it’s the ingesting of moldy hay that’s harmful to cattle, it’s inhaling of the mold dust. That would make since. I got lucky and it is all dry now. I just got another load from the field it must not have rained very much here last night. what gasifier is on this truck’s bed ? 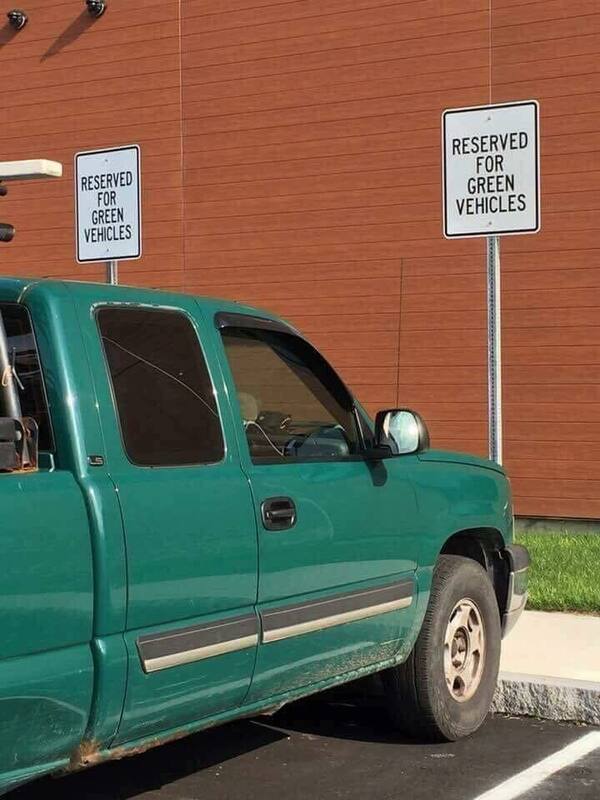 Hi Koen,Who, truck is the green chevy truck. ?